Having a long eyelashes has a lot of perks. Aside from it will make your eyes look more bigger, it also add beauty and make you look more attracitve. You don't need to apply mascara to achieve those long eyelashes or even apply a false eyelashes that will just totally test your patience. 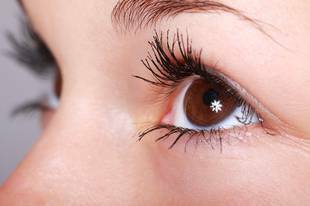 Don't worry because what this article will recommend you is a homemade eyelashes enhancer. Meaning, you don't need to go to the nearest beauty store to spend and buy an eyelash enhancer. As we all know, petroleum jelly is not just use for remedy for chapped lips, skin rashes and etc. It is also use as an eyelash enhancer. For the application of the petrpleum jelly on your eylashes, use your old mascara brush. To make the eyelash enhancer more thicker, you can use powder if you want. 1. Use your old mascara brush and dip it on the powder. 2. After that, Dip the mascara brush with powder on the petroleum jelly. 3. Apply it on your eyelashes same as applying a regular mascara on your eyelashes before going to sleep. Make sure that all the hair were applied. Don't forget to wash your eyes well by the time you woke up in the morning. Results will be seen after 2 weeks.